As promised, Donald Trump has pulled the United States out of the Trans-Pacific Partnership (TPP), a regional preferential trade agreement that his predecessor put together to secure American primacy in East Asia against a rising China. It does not matter that the TPP had not yet been tabled for Congressional approval. It does not matter that the TPP might not have yielded the outcomes its proponents claimed it would. What matters is that in one stroke of a pen, President Trump has confirmed the lingering fears among East Asian countries that the United States is unreliable as a partner in their attempts to manage an aggressively rising China. Barack Obama’s ‘pivot’ to Asia–of which TPP was an important plank–was itself a response to similar fears during his first term. That pivot was at best a promise that the United States will remain engaged in the region, realists in East Asia tended to suspect that it was reassurance without adequate credibility. The thinking within the Trump establishment appears to be that the United States can take on China on world trade and militarily in the waters of East Asia. Rex Tillerson, who will head the State Department, took a hawkish line on the latter, suggesting that the United States might deny China access to the islands it claims. Mr Trump and his colleagues seem to believe they can confront China in trade and in East Asian waters while eschewing economic engagement with the countries of the region. They will soon find out how mistaken they are. Economics is the bloodstream of East Asian geopolitics. China is a major actor in the region not because it has gunboats and missiles, but because it has deep and growing economic relationships with almost all countries of the region. The economies of East Asia, South East Asia and Australia depend on China for their prosperity to various extents. Whatever disputes they might have with Beijing, if they do not see an alternative to China-driven growth, they are unlikely to support President Trump’s moves against China. The United States is likely to find itself isolated if it contemplates escalating conflict levels in the region. It is likely that the powers in the region will seek protection by increasing their military capacity, and the bigger ones might even contemplate nuclearisation. Most will try to make their peace with China—to the extent possible, as long as it is possible. They will look towards India as a potential actor that can help balance China: to what extent this will work depends on how much and how fast New Delhi liberalises the Indian economy. Unfortunately, there is no indication that the Modi government is prepared to accelerate domestic liberalisation at a pace that can reassure its Asian neighbours. India is in the geography, and over the long term will remain a potential hedge against China. The United States, though, has just about defeated itself. After concluding the nuclear deal with Japan, the Modi government must review India’s atrocious nuclear liability regime. It is a big deal. Owing to the controversy over the replacement of currency notes, though, it has almost slipped popular attention. India and Japan have concluded an agreement that allows Japanese vendors to compete in the India’s nuclear power market. The deal holds potential for greater competition in the Indian market for nuclear reactors and technology. It also is a shot in the arm for Japan’s beleaguered nuclear power sector, and can help in attempts to rejuvenate the Japanese economy. That’s the economics of it. Greater significance lies in what persuaded Japan to set aside its decades-old anti-nuclear, ‘anti-proliferation’ stance and conclude a deal with a non-signatory of the nuclear non-proliferation treaty (NPT). Shinzo Abe is finding greater political traction in making big changes to Japan’s traditional foreign policy in the light of an assertive China that is fast expanding its geopolitical footprint. Prime Minister Abe’s policies are by no means fully accepted in the Japanese polity, but he is likely to have his way. With Donald Trump having created unprecedented doubts as to the United States’ commitment to its treaty allies, realists in Tokyo are even more likely to desire closer relationships with potential non-treaty allies (better known as ‘strategic partners’). To help get the deal through the Japanese Diet, Prime Minister Abe needs to reassure sceptics that Tokyo retains its anti-nuclear weapons positions. Hence, a note to the effect that Japan reserves the right to give a year’s notice and suspend nuclear commerce with India in the event of New Delhi conducting another nuclear test, was signed and exchanged following the formal nuclear agreement. The concession makes it easier to conclude the deal. It is not unusual for Indian critics to complain that New Delhi conceded too much, based on a legalistic parsing of an international agreement and its associated notes. Such criticism is overstated. An agreement between two sovereign states depends to a overwhelming extent on the will of the parties to comply. If Japan seeks to renege, it can do so, no matter what is written and signed on paper. So legalities matter only to an extent. No sleep needs to be lost over the matter. What policymakers and analysts in India should worry about is whether the atrocious law on nuclear liability is consistent with India’s energy, environmental and safety needs. At the moment it seems to restrict competition by keeping vendors from rule-of-law conscious countries out of the Indian market. Not only is the Indian power sector deprived of the possibility of newer and safer technologies, New Delhi (and its strategic partners) are unable to fully harvest the geopolitical rewards of nuclear deals. It makes little sense to sign nuclear deals with dozens of countries only to find that the liability clause is a show stopper. All parties, including the BJP were complicit in enacting an unworkable nuclear liability law during the UPA government’s term. Now, the Modi government must undo the damage, confront the anti-nuclear lobbies and put in place a sensible nuclear liability regime. In a discussion at Takshashila’s Bangalore centre several months ago on what might be India’s biggest problems, I nominated “lack of social trust” as one of the fundamental ones. In today’s new column in Business Standard—the old monthly column on geopolitics continues as usual—I argue that lack of trust is undermining India’s economic growth. According to the World Values Survey, social trust plunged almost 18 percentage points in the first half of the last decade. This suggests India might have lost an entire percentage point of economic growth due to the loss of social trust. So while economists and “policymakers have been sensitive to slowing growth, growing inflation and widening fiscal and current account deficits, few account for the impact of the fall in social trust.” Read the column for what role public policy might have in addressing this problem. How did other countries fare? Scandinavian countries score very high. Brazil, surprisingly, scores very low. Here’s a chart that compares India, China, Japan and the United States. Even if social trust in China appears to be declining gradually, the Chinese enjoy much higher levels of trust than the others being compared. The United States seems to be recovering gradually from a plunge in the 1990s. For a country that is relatively homogenous, Japanese trust levels are lower than Chinese, and are comparable to the much more diverse United States. Note, also, that other than the Chinese, a majority in the other countries does not trust other people. Addendum: What causes some countries to have greater social trust? The highest levels of generalised social trust across the globe are closely associated with a tight syndrome of religious/cultural, social, economic, and political characteristics. Protestantism, but no other religion, is strongly associated with trust, probably because the Protestant ethic has left an historical imprint on cultures of equality and the importance of consistently trustworthy behaviour. An absence of ethnic cleavages is also important, presumably because people of the same ethnic background find it easier to trust one another. Wealthy and egalitarian societies are trusting societies, although wealth seems to matter more than equality. The first act began a few days ago when some online military buffs posted images of a new stealth aircraft, tested on the very day Robert Gates, US defence secretary, was in Beijing to discuss, well, military cooperation. The test surprised a lot of people — including, apparently, Mr Hu himself. The underlying message, however, should not. Powerful political constituencies within the People’s Republic not only see the US-China relationship as adversarial, but have developed the capacity to challenge US military power in East Asia and beyond. In recent years we have seen the People’s Liberation Army (PLA) deploy a submarine fleet that can counter the US Navy’s surface combatants, develop missiles that can destroy aircraft carriers and satellites, and now test next-generation fighter aircraft. [Although] the EAS is set to become the pre-eminent regional grouping, bilateral alignments remain in a state of flux. A divide is emerging between countries that have a dispute with China, and countries that don’t. The former — a list that includes Japan, South Korea, Vietnam, Philippines, Malaysia and Brunei — will seek greater security in the form of alliances with the United States and India. These countries want a closer tango, not least in the security arena. During Defence Minister A K Antony’s visit, his Vietnamese counterpart General Phung Quang Thanh welcomed Indian Navy ships to make more port calls and offered maintenance facilities at Vietnamese ports. Last month, South Korea signed two defence cooperation agreements with India encompassing a broad range of activities, including exchange of visits, R&D, training and joint exercises. An agreement is still some distance away, but the very fact that India and Japan are currently negotiating a civil nuclear agreement is already a sign of how far Tokyo has travelled. India will have to go beyond defence and invest in building deep, broad and balanced economic relationships with these countries. As the experience with Russia has taught us, a merely defence-centred bilateral relationship can often be troublesome. It is fairly common to ascribe a certain oriental strategic wisdom to China’s foreign policy moves. That’s not always true. Whatever the outcome of the current stand-off with Japan over the fishing trawler near the Senkaku islands, Beijing has already lost one round of the geopolitical game. The incident involving a Chinese fishing trawler ramming into two Japanese coast guard vessels in Japanese waters claimed by Beijing should not have allowed to become a litmus test of sovereignty claims. Yet that is exactly what China did. Instead of reciprocating the Japanese government’s early and wise move to prevent escalation of tensions—by returning the trawler and crew, minus the captain—Beijing contended that trying the captain under Japanese law would be an implicit recognition of Japan’s territorial claims. If Japan now concedes to this demand it would be seen as succumbing to Chinese bullying. 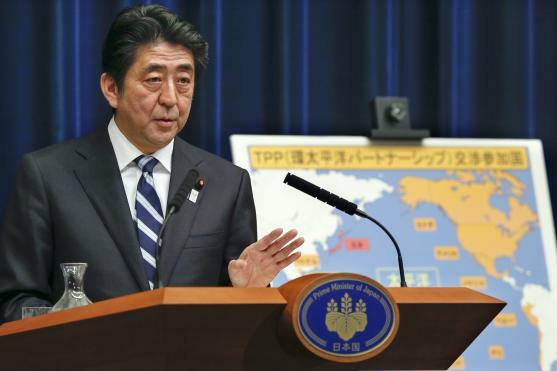 If Japan does not concede, the leadership in Beijing loses faces to its own people. If Sun Tzu said something about not putting an enemy with the back to the wall, his modern day compatriots certainly have not paid heed. There are, of course, face-saving diplomatic solutions possible if China is ready to explore them. However this plays out, Beijing’s actions will push Tokyo, Seoul and other East Asian capitals strongly towards each other and towards Washington. All the more so if, in the unlikely event, tensions lead to military conflict. It might well be the all Beijing cares for is to ensure that its actions play well to its domestic audience. If so, it has badly miscalculated the international price it will have to pay for playing to the galleries. Related Posts: Beijing’s series of foreign policy mistakes are likely due to a factional power struggle ahead of the leadership transition in 2012. In hindsight, the labour strike at Honda’s auto parts manufacturing plants in Guangzhou and Wuhan is likely to prove a turning point in China’s economic history. It is remarkable because it is the first time that the Communist Party of China has permitted an action of this nature in a very long time. The strike itself was triggered by workers demanding more pay and benefits. Such demands are hardly unusual, even in China. There are mechanisms—with Chinese characteristics—that deal with this, and the relatively stable labour relations are touted as part of the China advantage for foreign investors. The strike implies that these mechanisms failed. In their failure lies the reason why this is a turning point. In the current geoeconomic context—with the United States keeping pressure on China to revalue the renminbi—Beijing can no longer use the cheap currency as a source of its export competitiveness. If it can’t keep the renminbi undervalued the other option it could use to stay competitive is to not allow wages to rise. That’s an uphill task, because there is an upward pressure on wages as labour productivity increases and skilled labour tends to be in short supply. Attempts to restrain wages, therefore, will is likely to cause resentment and dissatisfaction. The Communist Party of China, of course, would not want to be the target of this resentment—not least because it is supposedly a communist party. It might well decide to release the pressure by taking the usual route—stoking ‘nationalism’ and channeling outrage towards foreigners. This creates a new vector: while earlier China only cared about attracting FDI, it will now have to manage the backlash as well. If these two vectors do not balance, we will see hitherto unknown political resultants. I very much doubt that other powers would accept such a move—and nor should they—because it would suggest that China is not really willing to engage in serious coordination, cooperation or transparency at sea. Carving up national maritime zones in the Indian Ocean would both reflect and worsen mistrust. It implies the failure of multilateralism, not its success. The Cold War was all about zones, spheres, sectors: think occupied Berlin. And what would happen if ships from one country strayed into another’s chosen sector? We also need to wonder how accurate is the article’s assertion that ‘the prospect of each country being given responsibility for a certain area of ocean’ is being welcomed by the shipping industry. The first thing to note here is that such territorialism doesn’t make much sense given the vast expanse of the world’s oceans—or even the Gulf of Aden—compared to the number of ships that the world’s navies have. There is thus a very strong case for naval co-operation and co-ordination against maritime threats. It is inconceivable that Chinese maritime strategists are unaware of this. But that is only a charitable explanation. China might be trying to gain exclusive control of key international waterways—an intention that is all the more disturbing given the rapid expansion of the PLA Navy’s capacity. In any event, India must strengthen not only its naval operations in Indian Ocean theatres like the Gulf of Aden—something that we have been stressing for long—but also deepen maritime co-operation with the navies of the United States, Australia, Japan and Indonesia. Brinkmanship does not work beyond the brink. “Either a nuclear-equipped DPRK or a collapsed DPRK,” Wu Chaofan concludes, “would cause disastrous interruption of the process of China’s peaceful development.” As long as the North Korean regime was playing inside these boundaries it was possible for China to use the situation to apply strategic pressure on the United States, Japan and South Korea. The threat from North Korea prevents the United States from concentrating its resources on Taiwan, and to that extent, reduces China’s cost of maintaining a balance of power across the Taiwan straits. So it would be terrible for China if North Korea crossed those boundaries. …many Chinese experts and advisors are more concerned with the threat Pyongyang’s nuclear weapons poses to China’s security. After adoption of Resolution 1874, the DPRK responded with a big rally in its capital. Its leaders announced that the country would stick to its own path, regardless of whether friendly countries sided with it and the effect on international aid. Such an attitude on the part of Pyongyang is a warning that China should reconsider its national interests. Mr Wu quotes two Chinese scholars who essentially warn North Korea’s neighbours to be prepared for the worst. China has been unable to persuade North Korea to stand down. Meanwhile Japan and South Korea have not only taken a hard line against Pyongyang, but have—in the delicate style of East Asian diplomacy—asked China to deliver. More than the US airstrikes that the Chinese scholars warn about, the real threat to China comes from the prospect of both Japan and South Korea developing their own nuclear deterrents. If the North Koreans don’t oblige, then China will be, well, in a soup.